Greater Quebec’s economic landscape is undergoing a major change with the announcement of one of the province’s biggest automotive transactions. 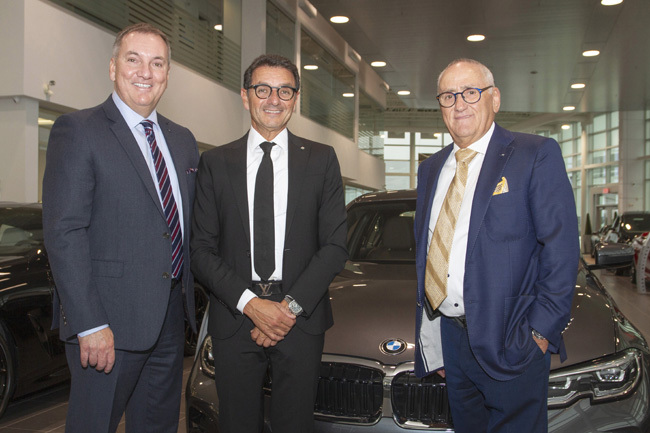 Bertrand Roberge, a Greater Quebec automotive icon, is transferring control of BMW – MINI Ville de Québec and BMW – Lévis to a shareholder consortium comprising Gad Bitton, Michael Serruya and Jean-François Tremblay. Vice-president and general director since February 2017, Tremblay will continue to head operations. 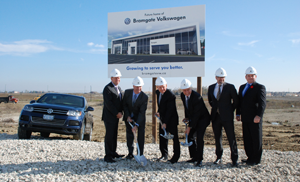 Bitton is a well- known automobile industry figure in Canada. He owns the Montreal Rolls Royce dealership, the West Palm Beach dealership in Florida, and Holland Leasing. Mr. Serruya made his mark in food and real estate. “This is a change that fits within our company’s continuity. The same management team, 125 experienced employees, the same culture of excellence and an obsession to deliver a unique and memorable moment to a constantly growing clientele,” said Tremblay. This transaction comes at a time when BMW’s market in the Quebec City and Lévis territories is burgeoning, with sales increasing by 23.4 per cent over the past year. “I am pleased to seize new business opportunities in Quebec, where everything began for me. The management team remains local and can rely on a solid group of investors to ensure the sustainability of the company,” added Bitton. “It is with some wistfulness that I am opening a new chapter in my life after a 52-year career in the automotive industry. On the other hand, I am brimming with pride at the road we have traveled and the outstanding team I have assembled. Jean-François, Gad and Michael have all the levers at their disposal to propel the organization to new heights,” stated Roberge who keeps the title of honorary president. Is there a “new normal” for dealerships? October 31, 2013 The Premier Publications Team Comments Off on Is there a “new normal” for dealerships?